Lying at the height of 7855 m, Mount Nuptse peak that falls within the Mount Everest range holds a Tibetan name which means west peak. Actually it is the western fraction of the Lhotse-Nuptse range. The main edge separating from Lhotse by a 7,556m elevated load is topped by 7 mountains and goes northwest until its vertical west-face falls downward to the Khumbu-glacier. 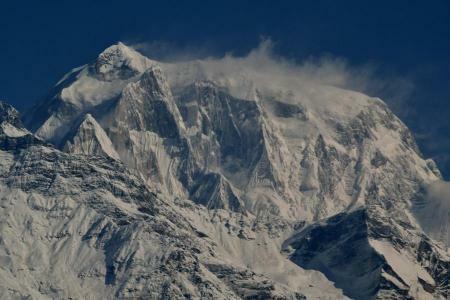 The vertical and rock-strewn south-face of Nuptse is 2500m elevated. 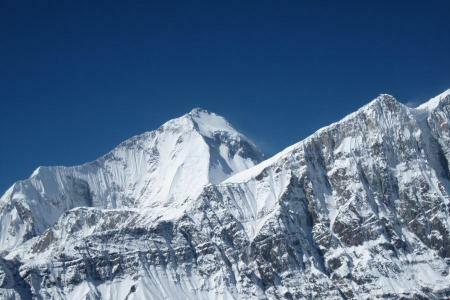 The main summit Nuptse I (7855m) was first summated on the north-ridge in 1961 by Dennis Davis and from a British expedition, Sherpa Tashi. 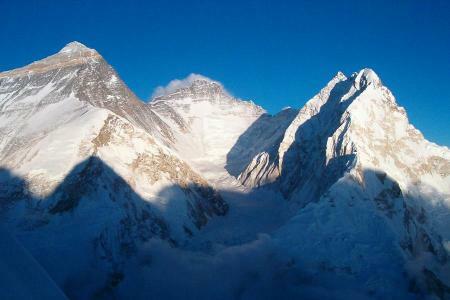 We endeavor to ascend the normal route to the Lhotse and Nuptse massif. Leaving the base camp we have plan set up 3 camps more camps while ascending to the summit. Also, we have separated more than a few days to have proper acclimatization with the high elevation. From the Base Camp, we will ascend to Camp I at 5700m and then gradually move to Camp II at 6350m taking aid from experienced Sherpa guides. We head off from Camp II below Nuptse’s north beam. From here we ascend ten pitches of mixed rock and ice. After accustoming yourself, make your way up to Camp III at 7400 meters falling on Lhotse’s West Face. Then ascending further you will arrive at to the apex of Nuptse. Since our climb involves unvarying clash with wind, spindrifts, snow etc., we need to be much cautious before we finally reach at the summit. Overnight at tented camp. Unique Adventure is confident to offer Nuptse Expedition with the first-class service. Let us organize it for you. This 41-days expedition offers you with its captivating appeal- from Tengboche it looks like a huge wall protector to the Everest and stunning and jaw dropping panorama of the mountains will hypnotize you. The best season to go for Nuptse Expedition is spring and autumn. Day 01 : Arrival at Katmandu. Overnight at hotel. Upon our arrival at Kathmandu International Airport, the representative from Unique Adventure treks will aid you transfer to one of the hotels of Kathmandu. Also, the representative will provide you a brief description about the tour. Overnight at hotel in Kathmandu. Day 02 - 04 : Stay at Kathmandu for the official procedure. Overnight at hotel. Stay in Kathmandu for two days. You can go around Kathmandu City for sightseeing or prepare for the expedition. For these two days all you need to do is check required equipments, learn to use the equipments, study maps and every other required stuffs to make sure that your expedition will be successful one. Day 05 : Fly to Lukla (2800m) and trek to Phakding (2640m).Overnight at camp. Today we will take captivating flight from Kathmandu to Lukla (2827m) which takes around 40 minutes. From the flight, we will witness close views of enormous peaks connecting Nepal and Tibet. We will arrive at Lukla in the afternoon and we begin walking downward to the Dudh Koshi River and take up the major way that leads to Namche Bazaar which is located just above Chaunrikharka (2713m). The path is trouble-free and after passing the tiny village of Ghat(2550m) we take a short walk to Phakding. Overnight in Phakding. Day 06 : Trek to Namche Bazaar (3446m).Overnight at camp. From Phakding, we go ahead with a slight climb to Jorsale we move further from a waterfall. Now, the trails of villages are united with wonderful forest of giant firs, rhododendron and magnolia trees. Afterward, we walk to Namche and cross few bridges and then go up few hundred meters and another steeper way up through the jungle. We walk for 4 hours and stay at Lodge. We have a rest day in Namche Bazaar for getting used to in the height. Namche is a village situated in a large protected hollow. Over the village, there is a national park headquarters where one can view both the sunrise and sunset scenes. The wonderful vista includes scenery of the Khumbu peaks and fascinating views of Everest. After breakfast, we can either set off for a walk to Thami (3810m) over the arresting Bhote Khola River Valley or walk off to the national park headquarters to sight the unique Sherpa way of life and culture. Overnight at lodge in Namche Bazaar. Day 08 : Trek to Tengboche, overnight at tented camp. We trek down all the way through the Khumjung village today and move to the most important path to Everest at Shanasa. We go on walking to Trashinga and afterward go downward to go across the Dudh Koshi at Phunkitenga (3250m). We have a broad and upright climb via fir, pine, rhododendron, black juniper forest and then reach Tengboche Monastery. Also, we can observe giant peaks Ama Dablam, Kantega and obviously the giant Mount Everest. We stay overnight at lodge in Tengboche. Day 09 : Trek to Pheriche, overnight at tented camp. On this day, we choose the upper trail for fine scenes to visit Pangboche village and its antique Monastery. We pass all the way through numerous Chortens and Mani walls and tiny villages. We will witness incredible close views of Ama-Dablam and will move north to Pheriche. Overnight at lodge in Pheriche. Day 10 : Trek to Lobuche, overnight at tented camp. At the peak, Cholatse and Taweche hit us with its picture which appears to incline ahead from crossways to the gorge in the west. In the north side, Lobuche Peak (6119m) and the snowfield of Cho La is recognized. Then, we come across the Khumbu River at Dughla (4620m). The incredible view of Pumori (7145m) and we come across the border in Tibet. Overnight at lodge. Day 11 : Nuptse Base Camp, overnight at tented camp. Walking along the valley-side and moving down on the Khumbu Glacier, we will follow a sound trail to Gorak Shep. Leaving Gorak Shep, the track leads to the moraine of the Khumbu Glacier and turns out to be quite unclear, knitting between mounds of wreckage and finally reaching the base camp at 5200m near the base of the Khumbu Icefall. Overnight at the tented camp. Day 12-33: Climbing period, overnight at tented camp. 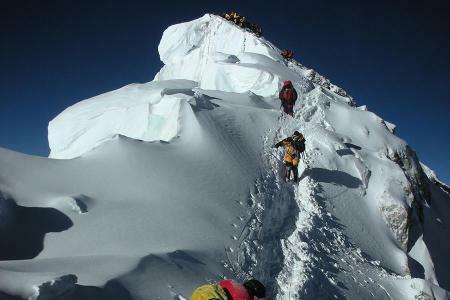 We have 21 days climbing period in order to reach at the summit of the Nuptse Peak. We endeavor to ascend the normal route to the Lhotse and Nuptse massif. Leaving the base camp we have plan set up 3 camps more camps while ascending to the summit. Also, we have separated more than a few days to have proper acclimatization with the high elevation. From the Base Camp, we will ascend to Camp I at 5700m and then gradually move to Camp II at 6350m taking aid from experienced Sherpa guides. We head off from Camp II below Nuptse's north beam. From here we ascend ten pitches of mixed rock and ice. After accustoming yourself, make your way up to Camp III at 7400 meters falling on Lhotse's West Face. Then ascending further you will arrive at to the apex of Nuptse. Since our climb involves unvarying clash with wind, spindrifts, snow etc., we need to be much cautious before we finally reach at the summit. Overnight at tented camp. Day 34 : Trek to Base camp, overnight at tented camp. On the 34th day of our expedition, we return to base camp and lend a hand with packing expedition stuffs and also help in cleaning the base camp area. Day 35 : Trek to Pheriche, overnight at tented camp. Today again, we will pass all the way via numerous Mani walls, Chortens and tiny villages. 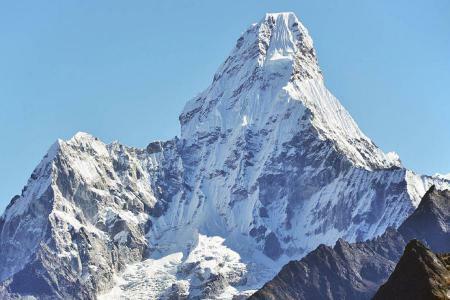 We will observe unbelievable close views of Ama-Dablam. Overnight at Pheriche. Day 36 : Trek to Tengboche, overnight at tented camp. On this day, we will trek back to Tengboche where we can again see fir, pine, rhododendron, black juniper forest and then reach Tengboche Monastery. Also, we can observe giant peaks Ama Dablam, Kantega and obviously the giant Mount Everest. Overnight at lodge. Day 37 : Trek to Jorsalle, overnight at tented camp. Day 38 : Trek to Lukla, overnight at tented camp. Today, we will trek to Lukla and see different Sherpa villages while crossing a suspension bridge over Thado Kosh. Overnight at guesthouse. Day 39 : Fly back to Kathmandu by helicopter. Overnight at hotel. On this day, we wake up early in the morning to take a helicopter for retracing back to Kathmandu. On arrival in Kathmandu we will transfer to the hotel. Day 40 : Leisure day in Kathmandu, overnight at hotel. Today you have a rest day in Kathmandu. Or, alternatively explore around Kathmandu valley which includes visit around historical and spiritual attractions; including Durbar Square, Boudhanath; one of the largest stupas in Nepal, Swayambhunath; top on the hill in the city knows as the Monkey Temple, Pashupatinath; Hindus holy place. Stay overnight at hotel in Kathmandu. Day 41 : Transfer to airport, departure on your own destination. This is the final day of our trek. Our airport representative will shift you to the airport from the hotel for your way back to home country. 4 nights hotel accommodation at Hotel Yak and Yeti or similar with breakfast. 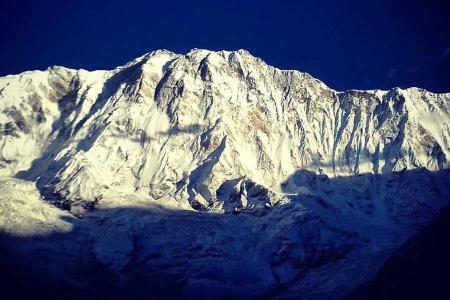 Climbing Permit fee of Annapurna expedition and Annapurna Conservation Area Permit fee. Food & Fuel during the trek and expedition period. Single tent for each member, staffs, climbing Sherpa at the base camp. 4/4 bottles of oxygen per member and guide with mask & regulator. Staff: Base camp Guide, Cook, Cook helper. Porters/Yaks to and from base camp. One high altitude Sherpa for one climber (1:1) who assist you whilst on climbing and summit attempt as well as carries food and gears to high camps. Government liaison officer, his insurance, daily allowance, equipment allowance and flight fares. Flight fare for member and staff (Jomsom - Pokhara - Kathmandu). Insurance, equipment allowance, wages and daily allowance for expedition staffs. All camping equipments: sleeping tents, mattress, dining tent, toilet tent, mess tent, store tent, table & chairs and other necessary kitchen utensils whilst on trekking and expedition. Group climbing equipment such as necessary fixed rope, ice screws, ice bars etc. First Aid kit bag and trekking map & duffel bag. Solar panel at the base camp. Walkie Talkie for each staff and member. Mountain cans cleaning at high camps. Cargo transportation to supply the food and gears to beni and back from Jomsom. Necessary documentation and governmental official paper works. Extra hotels in Kathmandu (after 4 nights). Personal climbing insurance which covers travel, medical, accident, evacuation etc. Emergency Rescue evacuation by helicopter. Applicable permit fees and custom charges for using communication equipment, commercial filming, satellite phone, radio etc. Personal expenses such as laundry, telephone, e-mail, etc. Custom clearances in Kathmandu airport. Gratitute (tip) for the staff etc. Note: You can bring the necessary gears from your own country or can buy or hire from the stores of Kathmandu. Unique Adventure International always efforts to operate the itinerary as per the negotiation made. Not always, but extreme adventure activities being operated in remote mountain regions, bears high risk and needs to be flexible. Unpredictable incidents, accident, weather conditions or flight schedule may be the reason that forces us to make slight changes in our scheduled programs. We expect your patience and cooperation in such circumstances.